The city of Chennai, situated in Tamil Nadu is fast overcoming Bangalore as India’s number one outsourcing destination. Low operating cost, telecom connectivity, experienced professionals, better real estate, cheap labor, low cost of living and urban infrastructure have all made the city a favorite among foreign investors. Today, Chennai stands as India’s second largest exporter of IT, ITES and software services. Chennai contributes over 39 percent of Tamil Nadu’s GDP. Chennai is home to several leading IT companies, such as, Caterpillar, Red Hat, L&T Engg, Siemens, Citi, CB Richards Ellis, Deloitte, Philips, Texas Instruments and Maersk amongst others. If you wish to outsource ADM services, software testing, legal process outsourcing, engineering services, product development R& D or business analytics to India, then Chennai is your best bet, as this city specializes in these services. Recently, Chennai has also started specializing in Healthcare BPO, with several leading Healthcare IT firms, such as, Apollo Health Street, Lason, Hinduja TMT, Paramount Healthcare, Ajuba Solutions and iHealthcare setting up branches in the city. 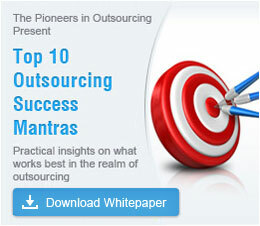 Among the world’s top eight global outsourcing destinations, Chennai stands at number six. Chennai’s famous technology and educational universities, such as Anna University, Regional Engineering College, Bharathiyar University and IIT provide talented computer and engineering graduates year after year. The state of Tamil Nadu has 250 engineering colleges, 526 IT institutes, 207 polytechnics and 22 universities. On a yearly basis, Tamil Nadu produces 75,000 engineering graduates and 35,000 IT specialists. Tamil Nadu has over 45,000 skilled IT professional, making it the state with the highest number of IT professionals. This large talent pool has made Chennai an ideal offshore location for BPO services. When compared to other South Indian outsourcing cities, Chennai has a low cost of living, is more cost efficient and offers the very best in infrastructure. Many outsourcers choose services providers from Chennai as the labor cost is very cheap when compared to the cost of labor in any U.S city. The international airport in Chennai makes it easy for foreign investors to frequently travel to the city and oversee the progress of projects. The government of Chennai has passed IT / ITES state friendly policies to encourage foreign customers to outsource. When compared to Bangalore and Hyderabad, Chennai has a lower attrition rate and more availability of land. You can choose from varied vendors when it comes to ITO and BPO services, as Chennai is soon to become India’s BPO hub. The leading ITO and BPO service providers in Chennai are IBM, Accenture, L&T InfoTech, Mahindra Satyam, TCS, Infosys, PerotSystem, Vertusa, Wipro, Cognizant, HCL, 24X7 Customer, KPMG and Office Tiger. While in Chennai, to meet prospective outsourcing vendors, you can stay at some of India’s finest five star luxury hotels. Chennai’s luxury hotels, have it all, be it corporate facilities, world–class amenities or 24 /7 facilities. You can hold meeting with clients in spacious boardrooms equipped with free Wi–Fi, fax machines and phone connections. You can go for a swim, visit the hotel’s shopping arcade, relax at the spa or workout at the gym. While in Chennai, do remember to try out delicious South Indian cuisine at your hotel. Get ready to feel at home on your stay in India, with Chennai’s five star luxury hotels offering you everything from car rentals, 24 /7 room services, airport pick up and drop facilities, safety lockers and courier services amongst others. Make your choice among the following five star luxury hotels in Chennai. If you are planning on outsourcing to India, why not outsource to Chennai and benefit from skilled professionals, low labor cost, international connectivity and best–of–breed infrastructure. Outsource now!